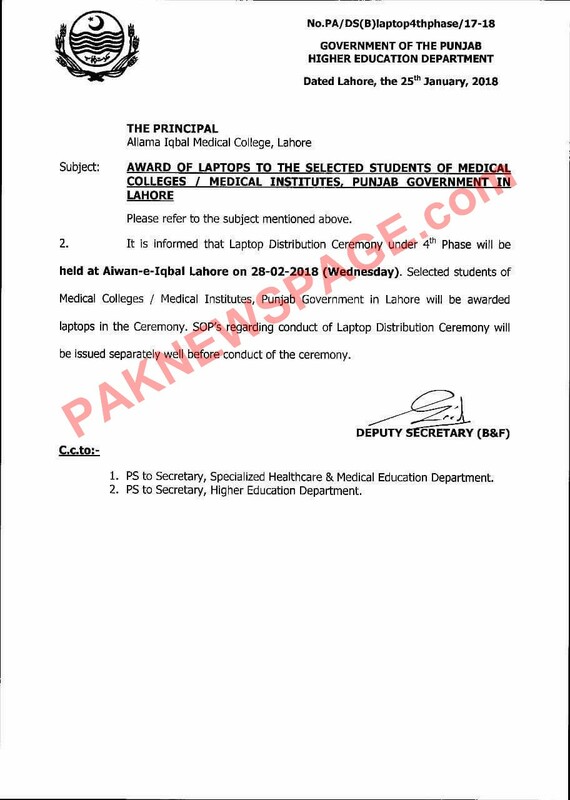 Lahore: A copy of letter issued by Deputy Secretary (B&F) available to PNP reveals that the students of various medical colleges located in Lahore will get laptops on 28th Feb, 2018. The distribution which was to be held six month ago was cancelled due to security reasons. Students enrolled in 1st and 4th Prof (at present) will be awarded laptops under CM Punjab laptop Distribution (4th Phase). The notification states that the SOP’s regarding conduct and ceremony protocol will be issued later on.